You must make reservations at least 5 minutes in advance of the time at Blu Turkish Restaurant. Blu Turkish Restaurant welcomes guests to enjoy classic Mediterranean cuisine. Great food with excellent service and ambiance. My friend chose Blu Turkish for our monthly catch up. It was super easy to snag reservations for a nice Friday evening. This is one of more modernized and hip Turkish restaurants in the area. It looks like it livens at it gets later in the evening. Decor was clean and contemporary which was complimented by the prompt and courteous service. Our server even gave my friend a mini-cooking lesson as he explained the items on the menu to her. We started off with some decent calamari but should have just ordered the cheese rolls which I highly recommend because you can't really go wrong with poignant feta warmed by fried phyllo dough. This was my friend's first time having Adana Kebab and she enjoyed it but not as much as I enjoyed my Filet Mignon Shish Kebab. The beef was moist as the waiter promised as well as juicy and well seasoned as I had hoped. 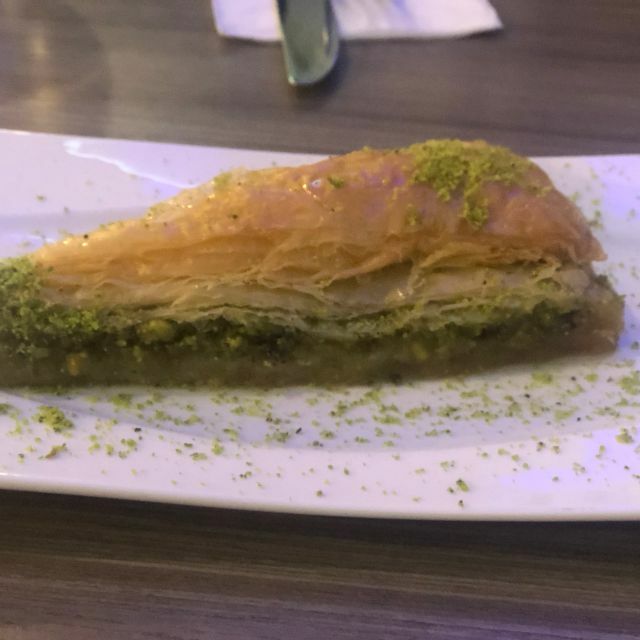 We had to finish our meal by sharing a slice of Baklava which was more sweet than I expected. We didn't have any cocktails so I would return to enjoy one on their patio in the summer. At least I will be able to use the handful of Turkish words that I learned at work. I love to arrange surprises for my girlfriend, we had a small date to celebrate. I chose this restaurant after reading reviews of visitors and booked a table. I asked the manager Metin about the service in advance, he put a few candles on our table. It was an amazingly romantic evening, we took a bottle of wine and dorado on the grill. I am writing my review to make it easier to choose a decent place for a cozy evening. Thanks! Whether its winter or summer, Blu never disappoints. I love the balance between entertainment and meal because I believe good food shouldn’t be eaten alone, and Blu serves one of the best Mixed Eggplant, Baba Ghanoush, and Shrimp Cocktail. Any of these is a perfect kick starter for Chicken Casserole and Mixed Grill mains. The food is awesome and the place is simply nice in every way. I really liked the food here, I ordered an avocado salad and chicken soup on the recommendation of the waitress. Excellent presentation and appearance of the dish. Our stomachs are very satisfied, it was a wonderful Turkish evening! I enjoyed the meal and atmosphere at Blu restaurant.I have tried several Casseroles, but this time I ate Adana Kebab with Hot Chocolate. Utterly satisfied, I recommend this place. We went here to celebrate my husband's 50th birthday. The food and the service were excellent. I celebrated my 25th birthday at Blu. My guests loved the private party room and the food especially the Lamb chops and manti we ordered. We were also impressed waiter’s service skills and friendly attitude. We had so much fun. Thanks, guys. Blu is a great restaurant! I was looking for a nice Turkish restaurant in the area and I found this one. It fulfills all my needs, there’s everything I wanted to try. The staff there is awesome, too. They’re very friendly and attentive and they’ll always give you advice on what to try. Highly recommend this restaurant, it’s fantastic. Remarkable food and service! Definitely a do over! Lovely Tuesday evening dining with friends. Nice menu...great service. Enjoyed by all! I've been going to Blu for almost a year already. Nice food and good ambience, with staff noticeably working hard to accommodate customers the best they can. I know already Salih, Demet and Fatih very well. Reasonable prices for quality and tasty dishes. A great spot for people who adores spicy Turkish cuisine. Heard from a colleague that turkish desserts and kebab were good at Blu. Got there and found the place packed on a Thursday evening. My waiter, Demet, was super helpful all night, even though he was also super busy. I also got to chat with their manager Metin. I had mixed appetizer, just to try a little of everything. The profiteroles and baklava were everything I had hoped it would be. The service was fantastic. The food was out of this world, and I know I'll be telling everybody about the Blu for months to come. Never had a bad meal at Blu. Service is always unbelievable. Food has never been better. Authentic, tasty, well done. Had here a business dinner and Metin really put all his efforts to provide a comfortable quiet environment for it. Thanks to all staff! Blu restaurant is a great place to get a wonderful meal on any occasion! I heard about Blu restaurant from a friend. I visited and ate cheesecake with Turkish tea. The quality and atmosphere here are so excellent. I am coming back here try out some famous Turkish kebab and other dishes. Thanks, Demet for the fantastic customer service. It’s a place with really great authentic Turkish food you can enjoy. I have already tried here almost all kebab dishes and I still cannot say for sure which one is my favorite, probably Mixed Grill. Demet, our waiter, was very nice and friendly. The food was cooked really fast and everything was fresh. It’s a great place for dinner. Restaurant Blu is one of my favorite restaurants, they have the most delicious cuisine, friendly staff, and great service. We visit this restaurant with the family every month for half a year and every time we wonder how at first, the cuisine and service, everything is top-notch. We feel that we are not just visitors, we feel very important guests, Berat and Salih often serve us. Having dinner here every month is already a tradition of our family and we are going to change it a bit to go here more often. We spent an amazing time last weekend at Blu and celebrated our anniversary here. It was a great place to gather all the family at one table. The food was truly perfect and great choice of wine. Salih made our evening really special, very professional. He recommended me to try Fillet Mignon Shish Kebab and I would never regret it. I would recommend this top-notch service! I have been several times to Blu and the food was awesome. The prices are reasonable and they have a pretty large menu, and everything tastes great. I don't eat lamb so I almost always get the chicken kebab and it never disappoints. The service is always wonderful. I will continue to come back! Hi Cannon, We are glad to hear that you was here and enjoyed ! Thanks for your review. See you soon again! The food was excellent, ambiance was very good. Service was great. Very good value. Blu was a new place for me and it definitely didn’t leave me disappointed. The atmosphere is so friendly there, maybe that’s because of great service. Demet did an amazing job serving our table. The food is so good there, too. I enjoyed arugula salad and filet mignon. I hope I’ll be able to come back there soon! This is really the best Turkish restaurant in Brooklyn. I always prefer smart service, I want to say thanks to our waitress C., helped make a choice in ordering a dish. We took a mix of a grill plate and Octopus salad. Also here an excellent wine list! I’ll definitely be coming to Blu again! It was a new place for us, and it definitely was a positive experience! The service there is fantastic and the atmosphere is very relaxing. As for food, it’s delicious. I had fried calamari as an appetizer and chicken casserole as the main dish, and it was very tasty. Recommend this place to everyone. Frankly speaking, I am in love with the food at Blu Bar. I usually order the fish dishes and my wife adores the steaks here. The food is wonderful and the service is at the highest level. Thanks for the top-notch service, you are the best! I just visited Blu for the second time and I’m starting to like it more and more. The food is delicious, as always. This time I had cheese rolls as an appetizer, lamb casserole for my entrée and some profiteroles for dessert. Everything was top quality. The service was great, too. I definitely recommend Blu to anyone in this area. Had a great time at Blu for Christmas! 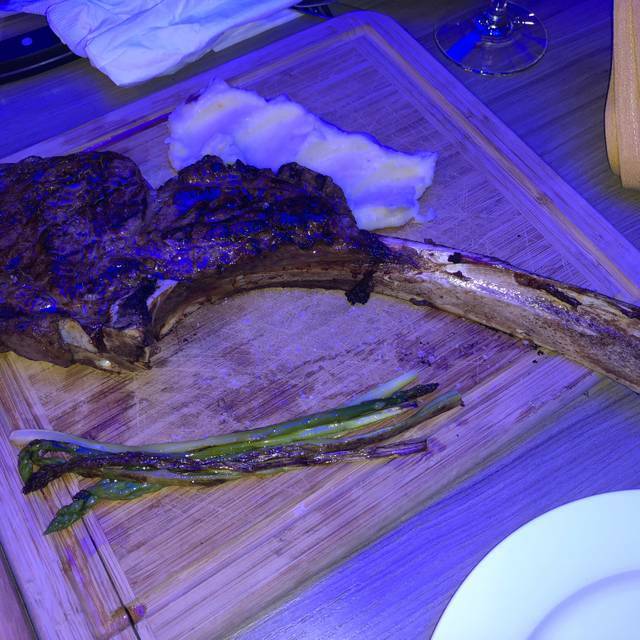 Booked because of the reviews and the shrimp casserole and the Tomahawk steak were very very impressive. Would definitely go back again! Mouth-watering food and lively environment, that’s what Blu Restaurant offers. Demet is my favorite waiter and the other guys aren’t so bad themselves. Blu Restaurant also serves some uniquely tasty beverages including Blu’s Cappuccino and the Turkish Tea. You definitely need to try out the Salmon Kebab, Lamb Chops, and Shepard Salad, they totally deserve your attention and money. My husband, mother and I had a very enjoyable evening “dining,” not just eating. The people were polite and the food was delicious. Only a few restaurants combine entertainment with food services Blu doesn’t just do that, the place does it so well. I love the fact that I can be watching a baseball match, an English premier league soccer game, or even a heavyweight match and be enjoying a plate of Blu’s Royal Dorado, Chicken Chops, or Salmon Casserole somewhere other than my sitting room. 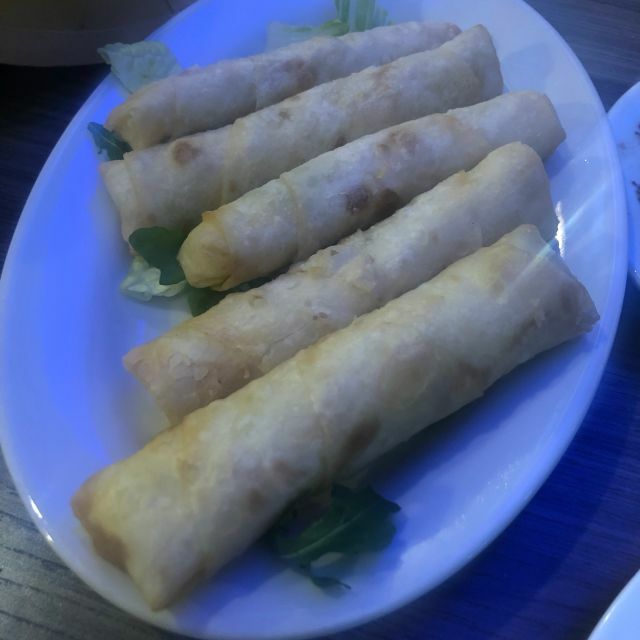 This type of service makes the Blu Turkish Restaurant an ideal place for a good evening outing and all the waiters, including Serhat and Demet are engaging, polite, and welcoming. It’s impossible to put the amazing view from Blu into words. Watching the water and enjoying a juicy ribeye was the perfect way to spend an evening. Thankfully Catya is an excellent server who never made me feel rushed. All in all, Blu is the best. Blu restaurant is just great for a quick meal. Whenever I'm in the Brooklyn area and feel a bit hungry I'd go there, the cheese rolls there or some falafel appetizers are so delicious I don't even need a main meal :) Also thanks to Fatih who is amazingly kind and responsive. I had my birthday get together here, booked it a few weeks in advance, spoke with Metin the manager, everything was perfect on the day, good food, nice private room with good décor, the wait staff was very professional and we didn`t have to wait long between courses. I definitely recommend it for small parties. It says they're the best Turkish restaurant there in Brooklyn and I must say this is 100% true. You can see how the guys improve every day and I really wish them the best. Metin and his team do an outstanding job and they really make me want to come back each time! Great place with great atmosphere and delicious food. It's a great place to eat at if you have kids. There's friendly family atmosphere, Demet and Fatih are really attentive and responsive, and there's even a kids' menu, too! My kids love mac and cheese, and that's what they order all the time. 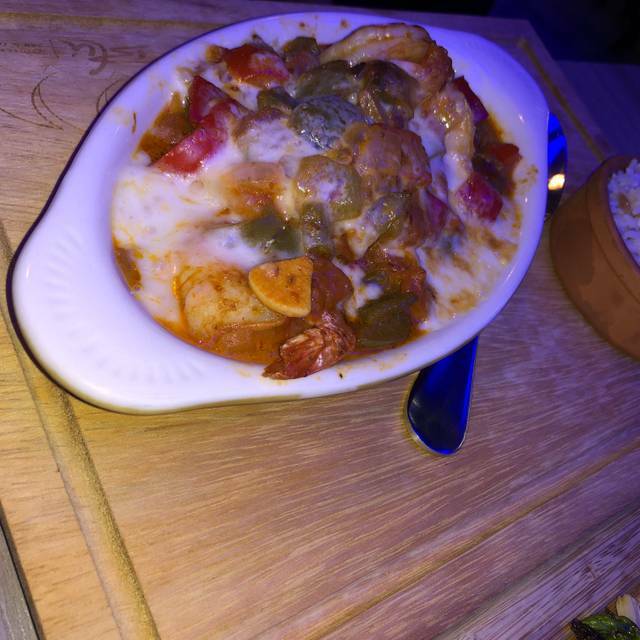 I prefer meat dishes, especially lamb casserole – it's fantastic there. This place gets my 100% approval! I invited my mother for dinner since it was her Birthday!!! The staff was friendly, the ambiance very open,clean and modern and the food was delicious and reasonably priced. The food was amazing, the Turkish wine was amazing and the service was outstanding. We will be back. Best Turkish place in Brooklyn 100%. When I first dined here, I knew I'd be coming back. Now I go there whenever I can. I tried most of the dishes on the menu, and they all are great, but my favorites are cacik soup and shrimp casserole. The atmosphere here is wonderful, and it is created by Metin and his admirable staff – Berat, Demet, Serhat and the others. They always treat you like you're a guest in their own house and, you know, that's just amazing. They have by far the most mouth-watering shish kebab I’ve ever tasted. I particularly enjoyed the lamb and can’t wait to come back. Plus, thanks to how welcoming our server, Cobra, as I know that I’ll be treated like family when I return.